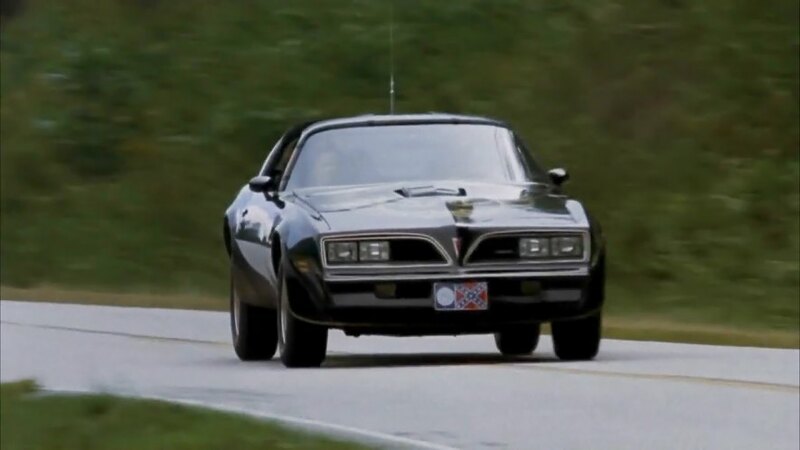 IMCDb.org: 1977 Pontiac Firebird Trans Am in "Smokey and the Bandit, 1977"
its not a 73 thats just assinign. honestly, do some real research before making comments. 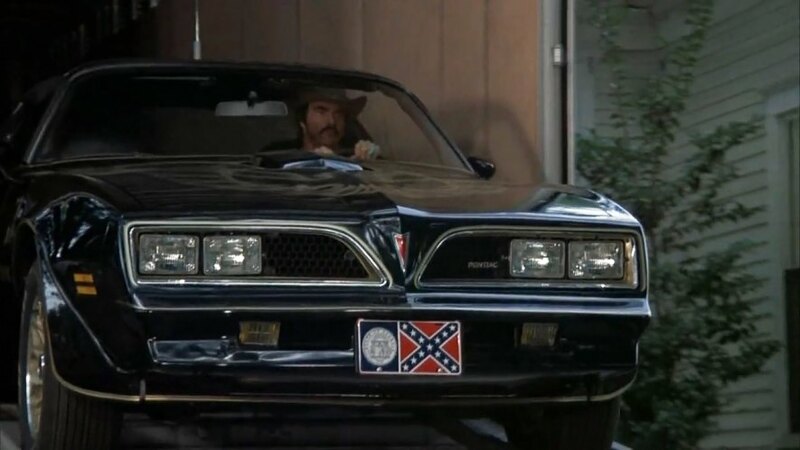 its a 1977 pontiac trans am SE. Hi ferrariphill, it,s a bit strange because everybody says it ( SHOULD BE BLACK !! ) 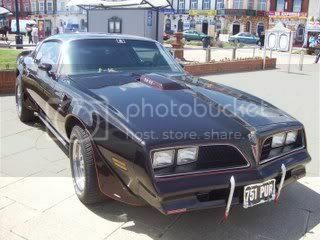 but we have never seen a green one, and also it has lakes pipes and our trade mark fangs on the front, and the interior is black and snake skin ( mainly the headlinning ) but looks cool, future plans are to add open headers etc, but as you said what a awsome sounding engine, we just like to be different, and some say we are complicated, nice to hear from you cheers Steve. 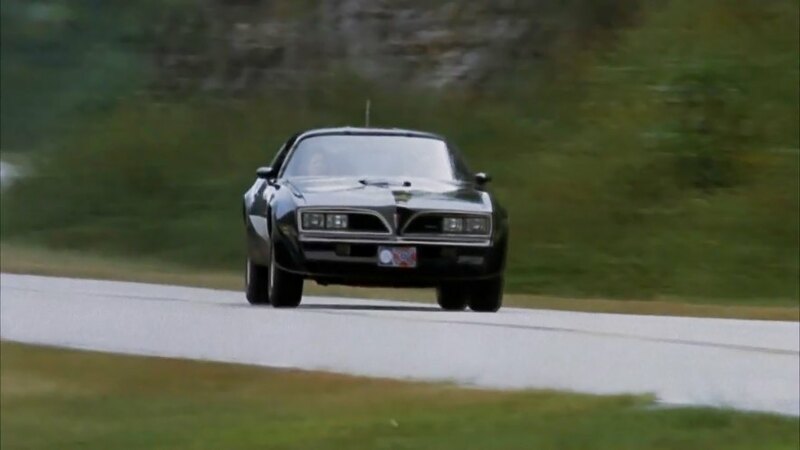 Hi again 53 olds,Your right about green being rare for a '77 trans am,I think Yours is the first I've seen.I saw smokey and the bandit at the cinema when I was 9years old and promised Myself that I,d own a trans am oneday,so it had to be a black one.Have You seen the brewster green '73 trans am in John Waynes film "McQ"?.Now there's a green trans am I'd love to own (Mmmm... John Waynes trans am or Steve McQueens mustang from bullitt?,now Thats a tough call! ).Mind You,as My Sig suggests,I love those Ferrari's too (If only those lottery numbers would come up!). You truly are speaking with lack of knowledge. 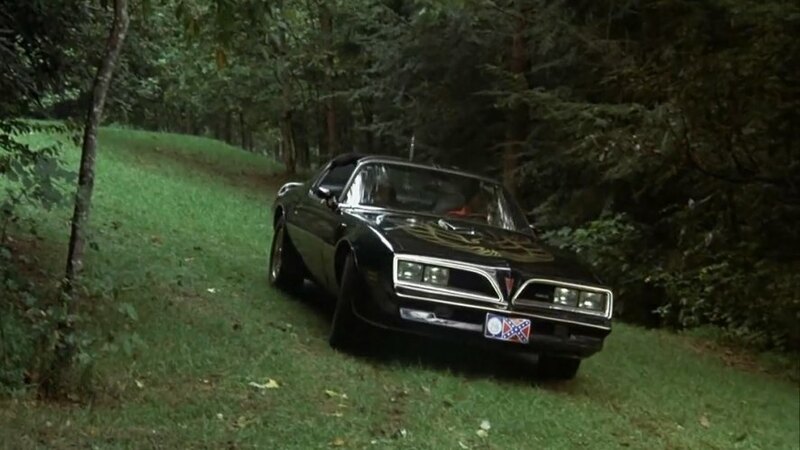 Pontiac made the transition from circular to square head lights on all its cars in 1977, with the exception of one of their cars I wanna say grand am or grand prix which went to square in '76. 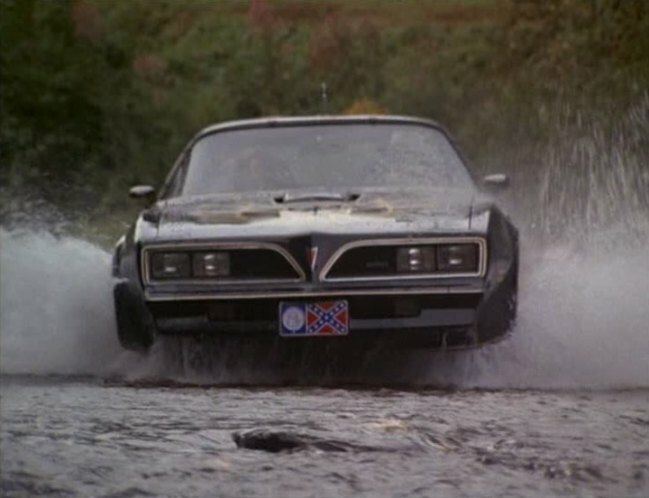 With that little fact plus the history of this movie making the 1977 Trans Am SE so famous it is obvious you must be confused/mistaken. @53 olds. Nice color! 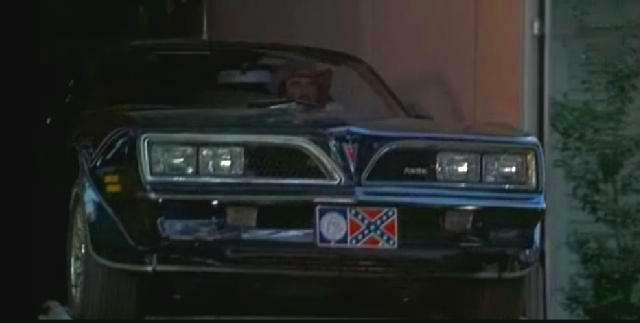 It's a shame they put the '78 decal on the hood, or is it a very late '77? 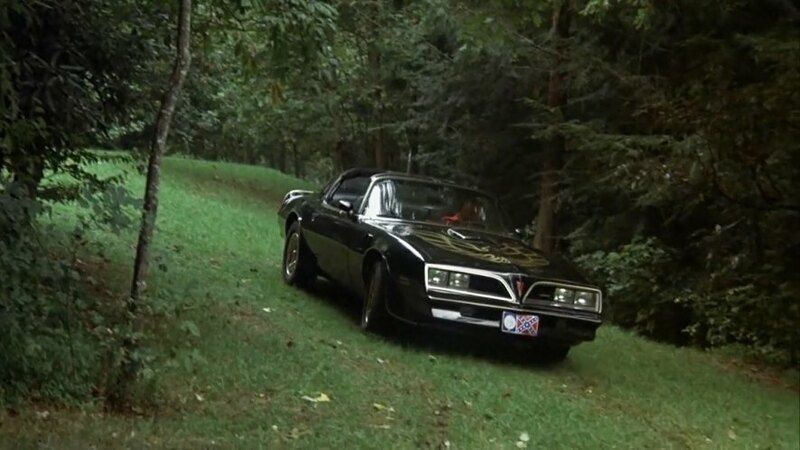 I happen to own a 1978 Pontiac Trans Am which is actually a Smokey and the Bandit Edition. 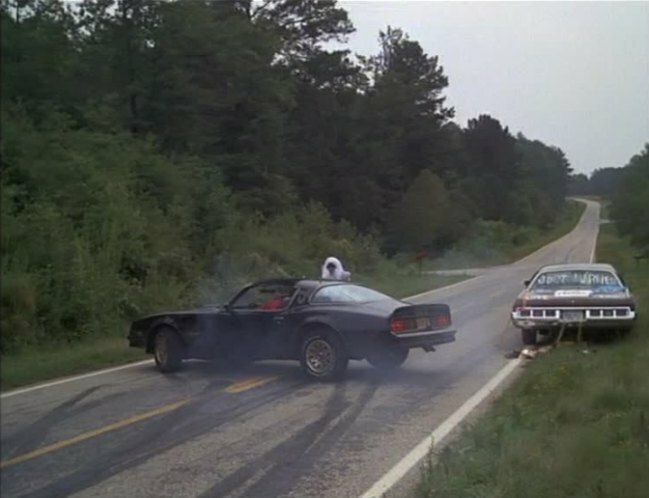 Both the movie car, and the Special Edition have Hurst Hatch T-Tops. THIS IS WHAT THE CAR LOOKS LIKE NOW, IT,S BLACK WITH RED METALFLAKE !!!!!!! 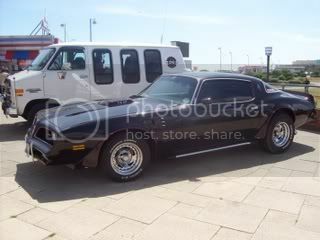 yeah and the fact that the 73s didnt look as nice and another fact the 77 doesnt have a rear chrome bumper the 73 did. rikko wrote @53 olds. Nice color! 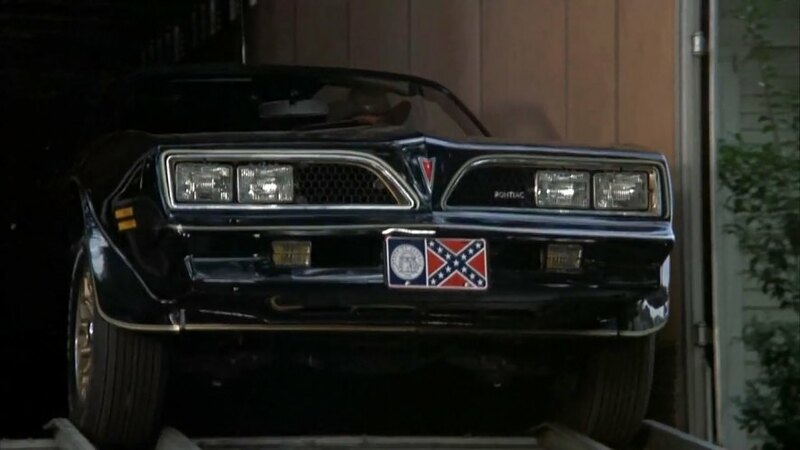 It's a shame they put the '78 decal on the hood, or is it a very late '77? 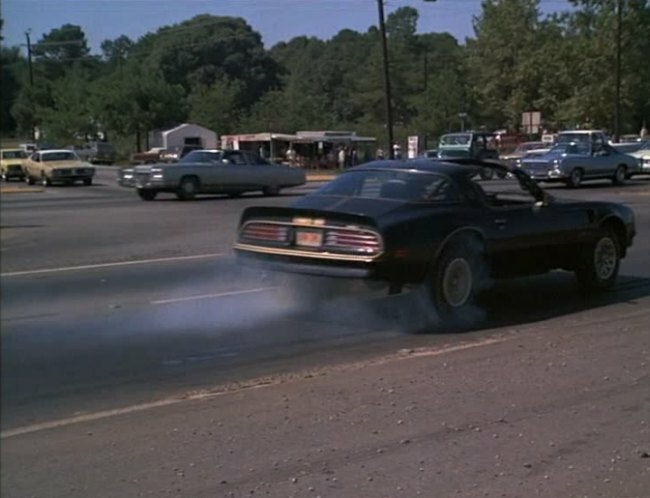 Nah most likely its a 77 T/A with a 78 decal. 77 hood birds look the best no doubt. 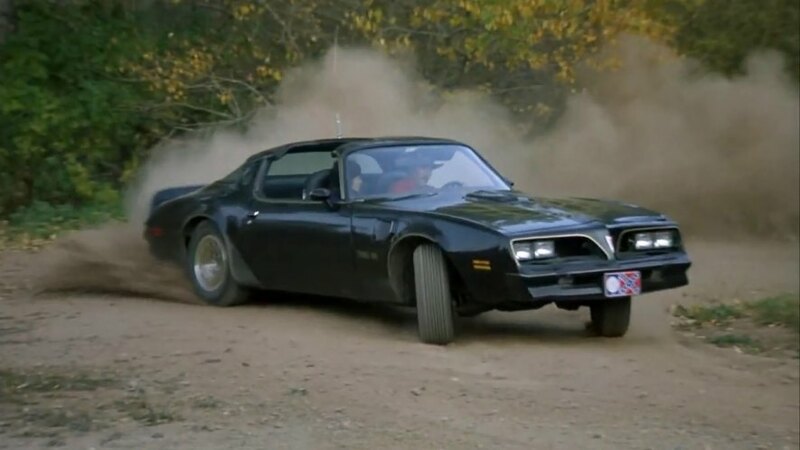 Where the heck is this picture when you look up "Pontiac Trans Am"?? 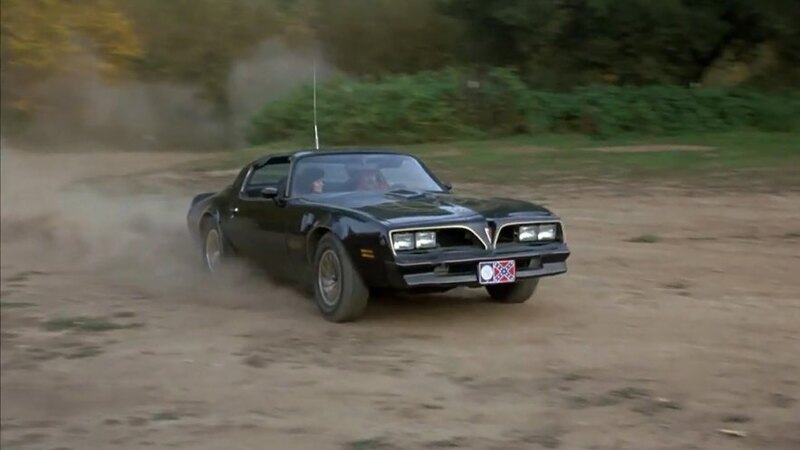 I scanned through all the Trans Ams and there wasn't one from Smokey and the Bandit! 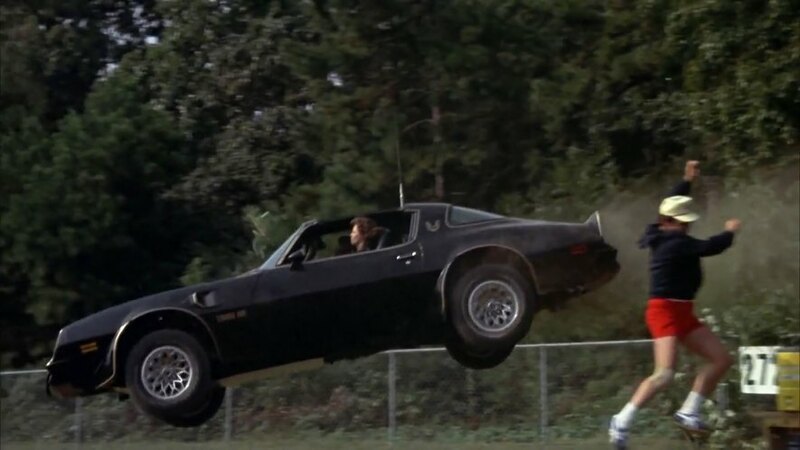 actually i think the 1977 was used for the jump. sorry. 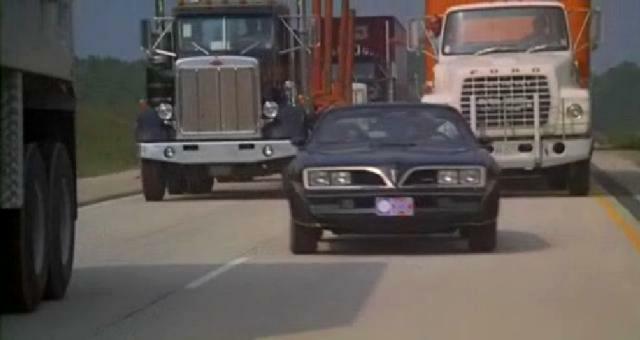 but theres a 76 during west bound and down, you can see the honeycomb wheels. 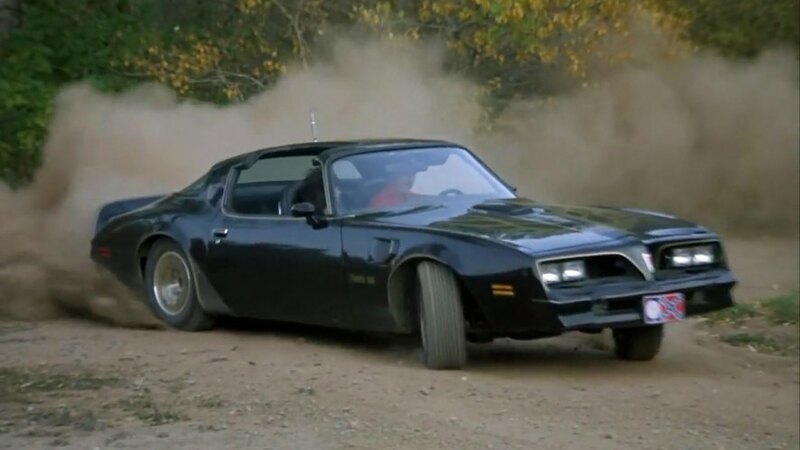 no crap after that seen they changed the rims and clip,the 76 was the only 4 spd car i have the magazine from the 80s where it told about the swapping of front clips and shakers between the 2 77s cause 1 77 was 400 other was 403 olds and they used the 403 olds(6.6 liter) on the close up car that was actaully a 400(ta 6.6)s and stuff of the movie cause some car nut from mcr interviewed hal needam about the movie! 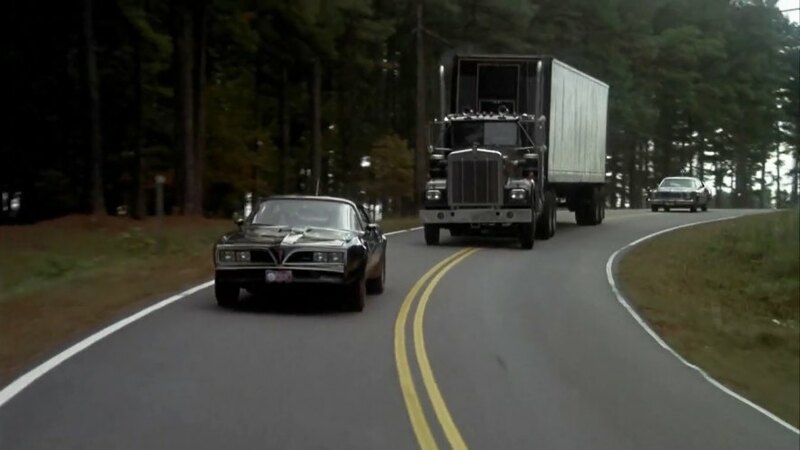 they were all '77's there was four cars one car that was rig up with camera's & that was also used for most of the interrior shots "it sat on a flat bed also"! 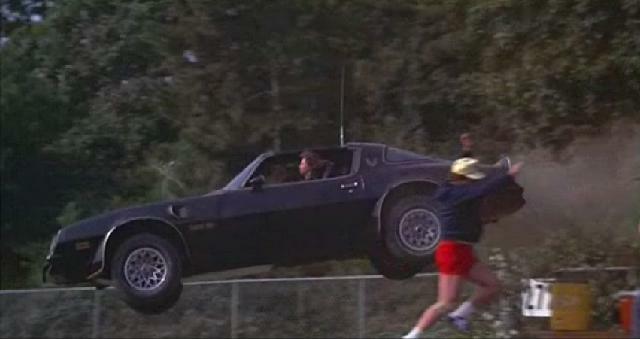 a car that was used for a alot of stunts! 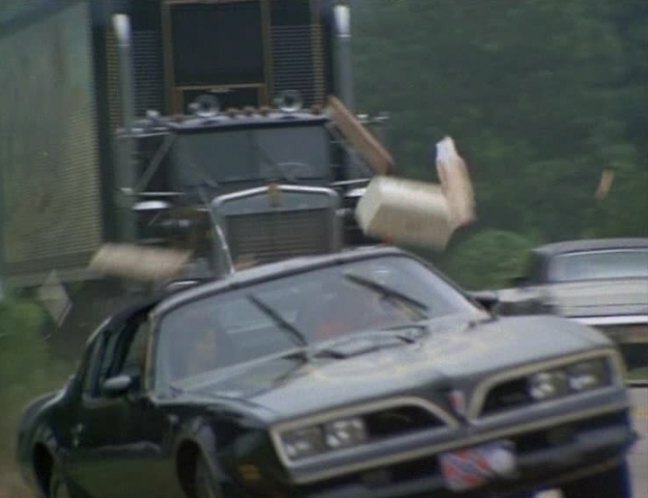 and 2 other cars one of them was used for the jump & the other one was used for the the scene when bandit drives through the mail boxes! 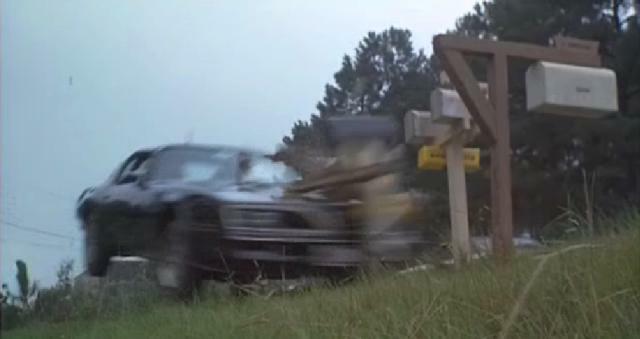 the bridge jump & mail box his scenes, those 2 cars were completely totaled after filming those 2 scene's and for the rest of the movie they parts off of those 2 cars and put them on the other stunt car! 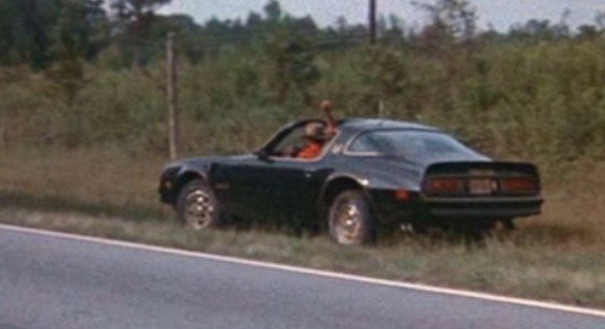 the only car to survive this original movie was the car that was rigged up with Camera's & that was on the flat bed while the 3 other cars was scrapped after filming what the interview's in my link below on this guy that was there for the filming the whole entire movie was filmed back in '76, you can see a video of the surviving car in the post that I posted directly on top of this post! 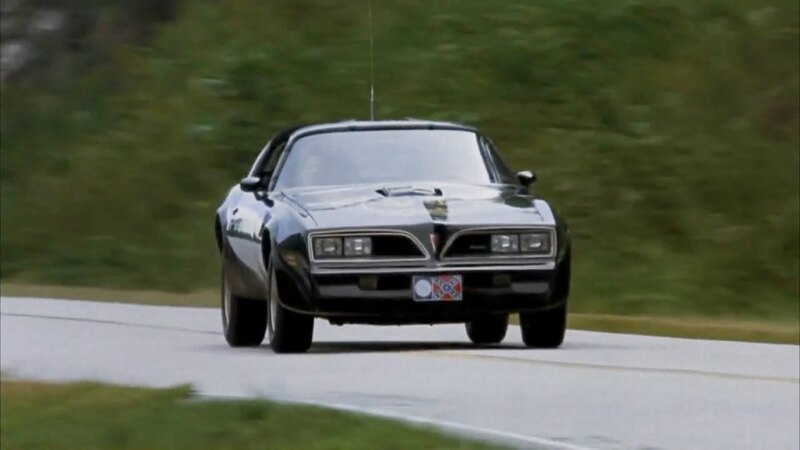 The one in this film is a special edition trans am or a "se" look on http://transamflorida.com/TRANSAMFORSALE.htm they always got beautiful cars!! 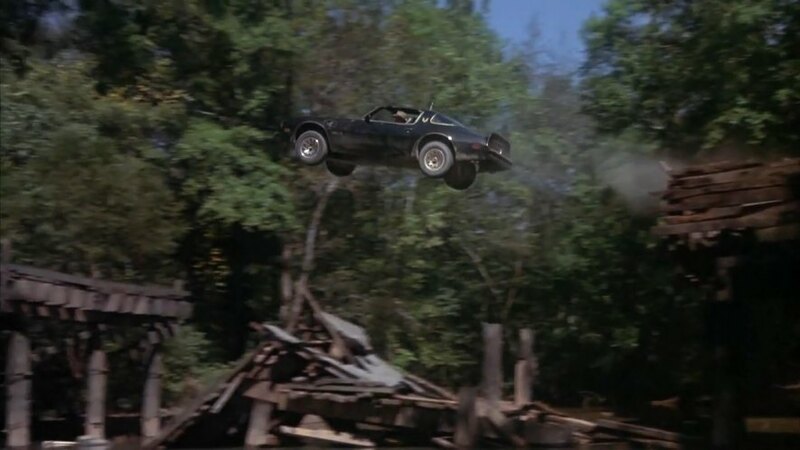 Interesting, that many people refers to Black-and-gold edition as "Smokey and Bandit edition", despite fact, that this edition appeared year before movie. 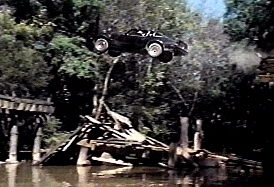 Nightrider wrote Interesting, that many people refers to Black-and-gold edition as "Smokey and Bandit edition", despite fact, that this edition appeared year before movie. 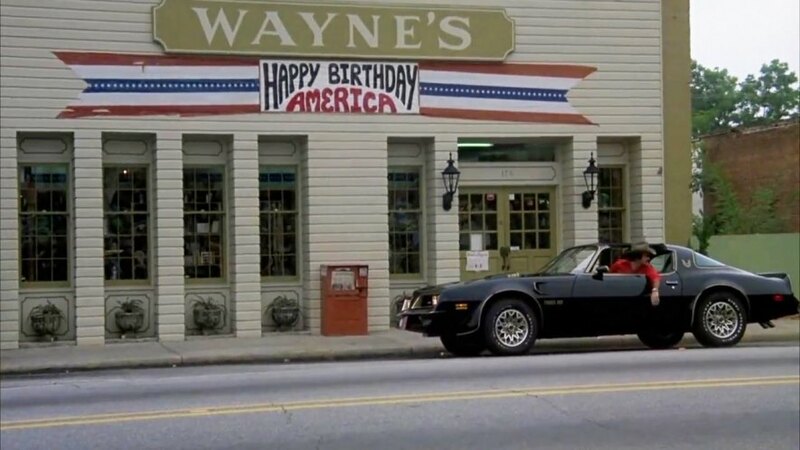 Wasn't this model also known by some as the 'Golden Jubilee', or was that something else, like the '79 Trans Am 'Gold Edition'? I think it might be called the gold edition ,or gold eagle because of its gold outline around the head lights. It was oficially called "Black and Gold Edition". Since 1976. 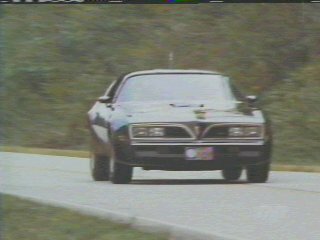 Between this Trans Am and the Dodge Stealth in the 1994 knock-offs (/vehicle_360614-Dodge-Stealth.html), if they ever raced against each other, I can tell which one would win just by looking at them. Never mind the horsepower level of each car. 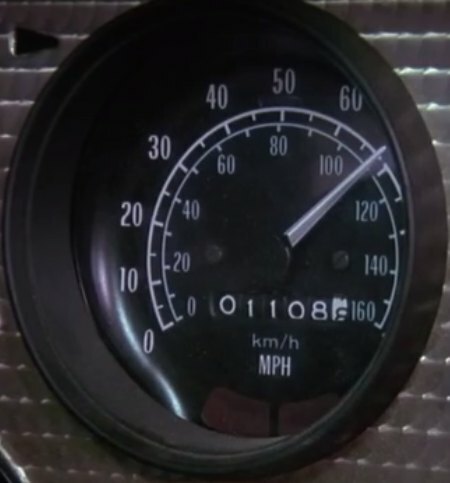 Did anybody see the 160 mph speedometer when frog say "are we really doing 110?" 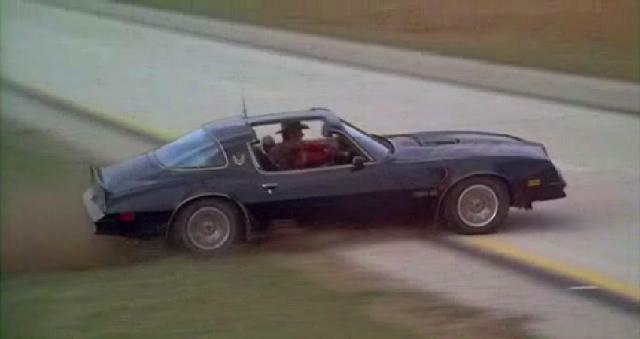 That is the 1976 t/a because the 1977 t/a's speedometer only goes to 100 mph. 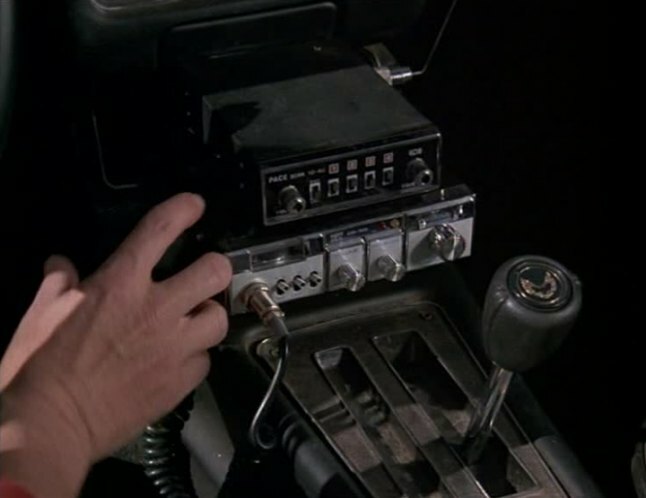 They'd had to of used the 76 for that scene, because if it was the 77 the line wouldn't have worked since there is no way to tell if a 77 was going 110mph by reading the speedometer. 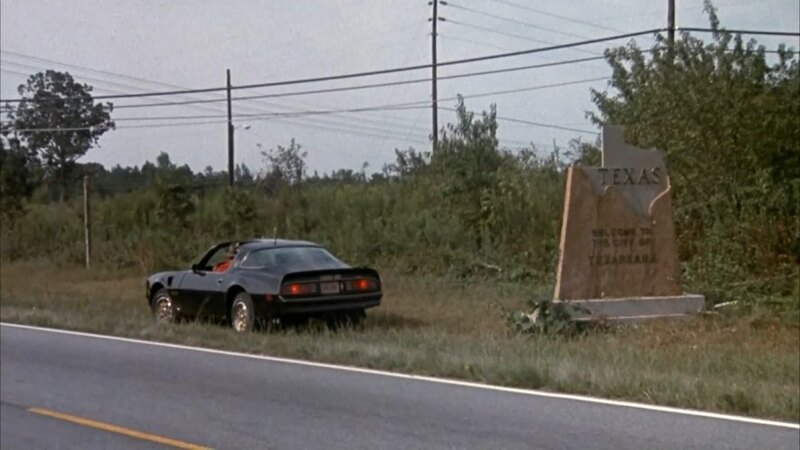 You would have to use a radar gun to calculate 110 in the 77. Actually Frog was looking at kph not mph. 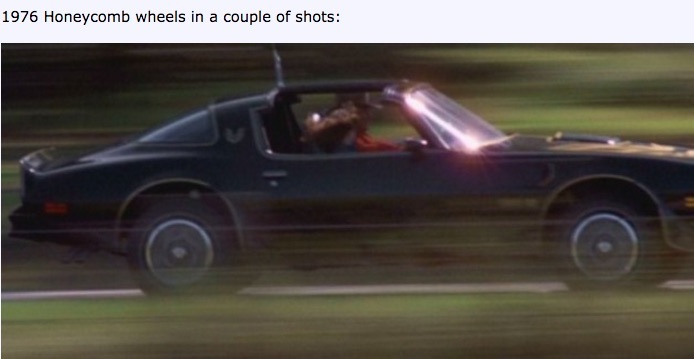 jettalover wrote Actually Frog was looking at kph not mph. 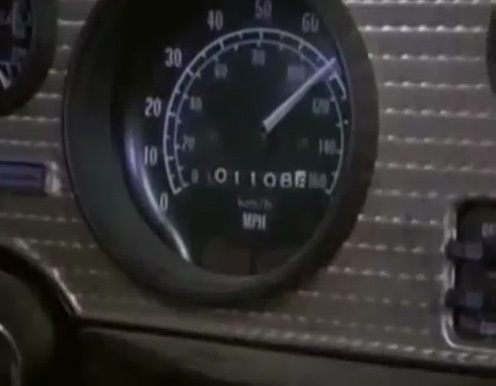 The speedometer was in mph with no kph reading so they were probably going 110 mph in the seen. 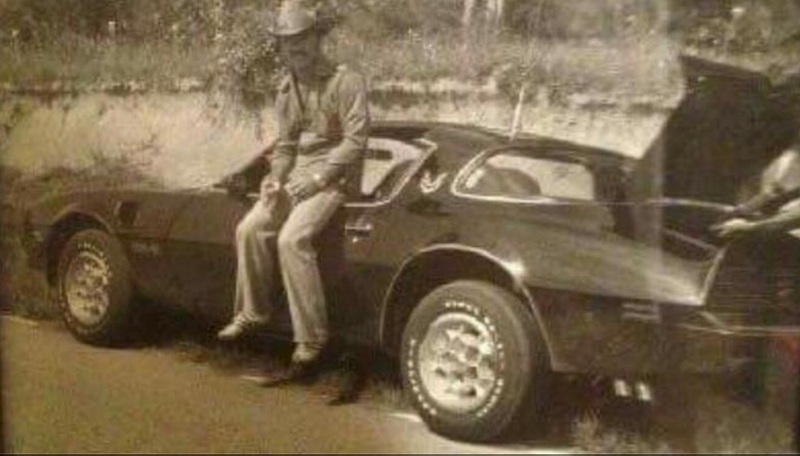 I wonder what engine was in the 76, I know it wasn't a 455 but what engine was it. 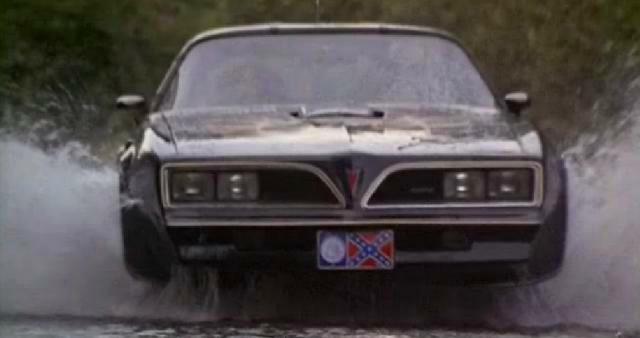 Thanks to this film's release, Pontiac Firebird sales shot up by 700%. Yes apparently there was a 6 month waiting list after this was released, possibly even longer for a black one. 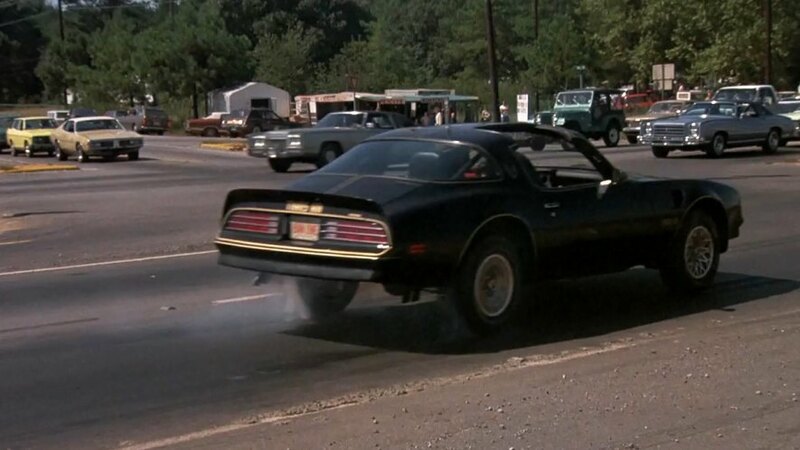 I'm sure I've read somewhere dealers had to respray Firebirds in other factory colours black to meet the demand. I recently found some early shots of a 1976 Limited Edition model with gold Honeycomb wheels. Was Frog of French origin ? 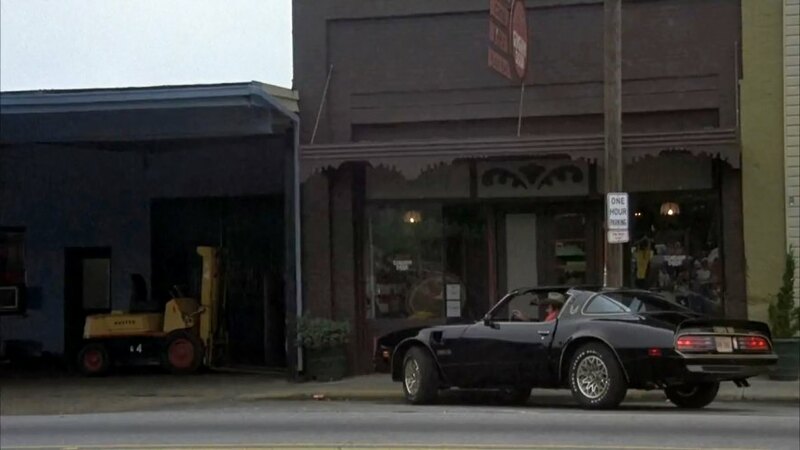 I believe the only surviving car used in the filming is at the Hollywood Star Cars Museum in Gatlinburg, Tennesee. So T-top can be treated as convertible?Or just coupe like how it is listed?